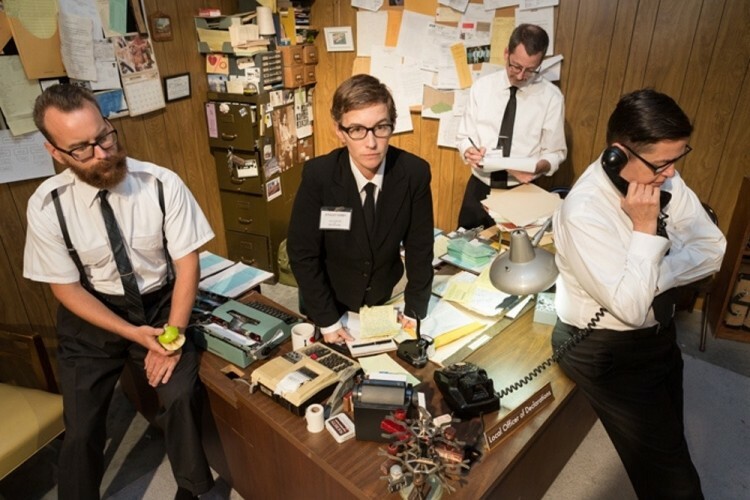 "The Bureau of Personal Belonging" by Stacey Kirby took home the $200,000 Juried Grand Prize at ArtPrize Eight. The prizes are awarded through two rounds. The first round narrows the field of 1,500 artist entries to two sets of finalists -- twenty decided by public vote and twenty by expert jury. Five $12,500 Category Awards will be given to four artists for outstanding work within their respective categories (2-D, 3-D, Time-Based and Installation) as well as one venue for outstanding curatorial presentation. During the first weekend of the 2017 competition, September 23-24, the Category Jurors will assess the entries within their respective categories, each selecting a shortlist of five entries. On Monday, September 25, the Category Jurors will reveal their finalists during the “Jurors’ Shortlist” event, broadcast live on NBC affiliate, WOOD TV8. The Public Vote Final 20, selected by ArtPrize visitors through smartphone-enabled voting, will be revealed in a live event on Sunday, October 1. 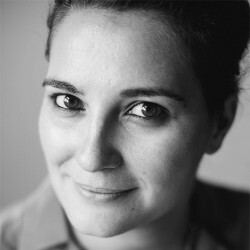 Miranda Lash is Curator of Contemporary Art at the Speed Art Museum. Her current exhibition, Southern Accent: Seeking the American South in Contemporary Art, co-organized with Trevor Schoonmaker, Chief Curator at the Nasher Museum of Art at Duke University, is an expansive inquiry into Southern identity. Featuring the work of sixty artists, Southern Accent is accompanied by an extensive catalog published by Duke University Press. In 2016 Lash curated Home and Away: Highlights from the Speed Art Collection and Beyond, the inaugural installation in the Speed’s new North Building, which debuted as part of the museum’s reopening in March. 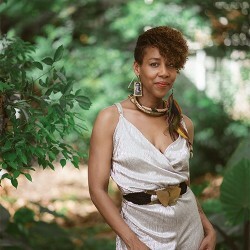 She is on the Artistic Director’s Council for Prospect.4, the fourth iteration of the international triennial art exhibition Prospect New Orleans, which opens in November 2017. Prior to the Speed, Lash was the founding curator of modern and contemporary art at the New Orleans Museum of Art from 2008 to 2014. At NOMA she organized over twenty exhibitions, including the traveling retrospective exhibition Mel Chin: Rematch; Swoon: Thalassa; and Camille Henrot: Cities of Ys. She is a graduate of Harvard University and Williams College. 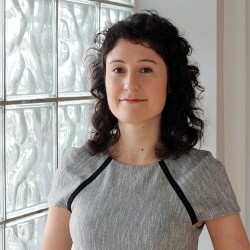 Rachel Adams is the Senior Curator of Exhibitions for the University at Buffalo Art Galleries. Adams holds an MA in Exhibition and Museum Studies from the San Francisco Art Institute and a BFA from the School of the Art Institute of Chicago. Her areas of research include the crossover between contemporary art and architecture, video and new media practices, with a special focus on artists working and performing in the landscape. She was the fourth Curator-in-Residence at Disjecta Contemporary Art Center in Portland, OR, curating the 2014-15 season. From 2010-2013, she was the Associate Curator of Exhibitions and Public Programs at Arthouse at the Jones Center (now the Contemporary Austin). 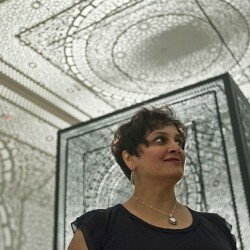 Most recently, she curated the first US solo museum exhibition for the Brazilian-born artist Lydia Okumura, including a catalogue from Sternberg Press, and her 2017 exhibition Wanderlust: Actions, Traces, Journeys 1967-2017 was recently awarded grants from the Andy Warhol Foundation for the Visual Arts and the National Endowment for the Arts with a forthcoming catalogue by MIT Press. She will also co-curate the first exhibition of Tony Conrad’s work after the artist’s death at the UB Art Galleries with the Albright Knox Art Gallery in February 2018. 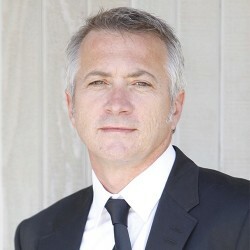 Scott Stulen is the Director and President of Philbrook Museum of Art in Tulsa, Oklahoma. 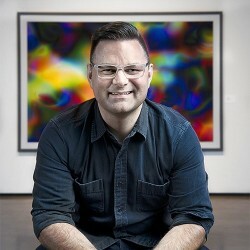 Stulen is the former Curator of Audience Experiences and Performance at the Indianapolis Museum of Art, Project Director of mnartists.org at the Walker Art Center, Associate Curator at the Rochester Art Center, visual artist, writer and DJ. He earned an MFA in Painting and Drawing from the University of Minnesota and a BFA in Sculpture from the University of Wisconsin-Eau Claire. He created and led the first Audience Experience and Performance Curatorial Department in the country at the IMA, developing the ARTx program, commissioning new performances and site-specific installations, and launching new earned-income initiatives. At the Walker, Stulen co-curated and developed the Open Field project, reframing the museum as public park, town square and platform for experimentation. Notable projects include Artist Designed Mini-Golf, CSA – Community Supported Art, numerous commissions and performances, and the Internet Cat Video Festival, which has toured to over 250 cities and 13 countries to date. Now at Philbrook, Stulen is guiding the museum as a national model of sustainability, relevance, and community impact. Anila Quayyum Agha was born in Lahore, Pakistan. She has an MFA from the University of North Texas. Agha’s work has been exhibited in multiple international art fairs as well as in over twenty solo shows and fifty group shows. Recent solo shows in 2015-17, include the Peabody Essex Museum in Salem, MA, National Sculpture Museum, Valladolid, Spain, Rice Gallery at Rice University in Houston, The Dallas Contemporary Art Museum, and the State Museum in Indianapolis to name a few. In 2009 Agha was the recipient of the Efroymson Arts Fellowship. She has received two IAHI grants (2010/ 2015) and two New Frontiers Research Grant (2012/2016) from Indiana University. Agha won the two top prizes at ArtPrize 2014. Her entry, titled "Intersections", earned the ArtPrize 2014 Public Vote Grand Prize and split the Juried Grand Prize in a tie. This year Agha has been named the recipient of Cincinnati Art Museum’s 2017 Schiele Prize. 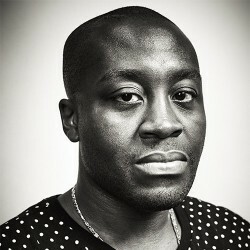 Larry Ossei-Mensah is a Ghanaian-American independent curator and cultural critic who has documented contemporary art happenings for various publications including NeueJournal, Uptown and Whitewall Magazine. His writings have profiled some of the most dynamic visual artists working today—Derrick Adams, Mickalene Thomas, Kehinde Wiley, Lorna Simpson and street artist JR. As a curator, Ossei-Mensah uses contemporary art and culture as a vehicle to redefine how we see ourselves and the world around us. Ossei-Mensah is also the Co-Founder of ARTNOIR, a global collective of culturalists who design multimodal experiences aimed to engage this generation’s dynamic and diverse creative class. ARTNOIR serves as a tangible extension of Ossei-Mensah’s curatorial vision of “bridging gaps." ARTNOIR has organized a number of programs with artists, authors and organizations such as Wangechi Mutu, Yaa Gyasi, Hank Willis Thomas, Knopf, Random House, NY Times, Harvard, NYU, Tumblr, Black Lives Matter to name a few. Ossei-Mensah is currently the 2017 Critic-in Residence at ART OMI in addition to serving as Co-Chair on Russell Simmons’ RUSH Artist Advisory Board and MoMA Friends's of Education Board. The Grand Prize jury is comprised of a panel of three art experts. Together they select the winner of the $200,000 Juried Grand Prize, presented by Kendall College of Art and Design of Ferris State University (KCAD), from among the 40 finalists, as determined by the Category Jurors and the voting public. The winners of $500,000 will be announced at the 2017 ArtPrize Awards on October 6. 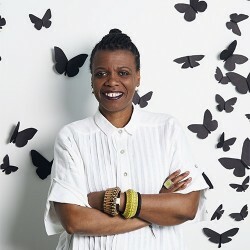 Gaëtane Verna is the Director of The Power Plant Contemporary Art Gallery, Toronto, Canada’s leading public gallery devoted exclusively to contemporary visual art since 2012. Before taking up the post at The Power Plant, she was Executive Director and Chief Curator of the Musée d'art de Joliette in Lanaudière, Quebec during six years. Prior to this appointment, from 1998 to 2006, she was the curator of the Foreman Art Gallery at Bishop’s University, while also teaching in the Art History department of both Bishop’s University and the Université du Québec à Montréal. She has many years of experience in arts administration, curating, publishing catalogues and organizing exhibitions by emerging, mid-career and established Canadian and international artists a like. A native of Andover, England, Christopher Scoates is a curator and writer whose interests encompass contemporary art and technology, design, and experimental sound. He has organized a series of art and technology exhibitions that have offered an unprecedented investigation into media’s impact on contemporary art and visual culture. These projects include Lou Reed, Metal Machine Trio: The Creation of the Universe, an ambisonic 3-D installation of the 1975 Reed album, Metal Machine Music; Brian Eno: 77 Million Paintings, an evolving sound and image-scape installation; Sound Oasis, an outdoor 3D audio environment with twelve sound artists; and TAMPER: A Gestural Interface for Cinematic Design, a participatory work that fused cutting edge technology with the practice of film design. He is the co-founder of 5-D: The Immersive Design Conference, a national conference about progressive film design, narrative media and new technology. He served as Director of the University Art Museum, California State University, Long Beach from 2005 until June of 2014. He was appointed Director of Cranbrook Academy of Art and Art Museum on August 1, 2014. Gia M. Hamilton joined the Joan Mitchell Center in 2011 as a consultant and was appointed Director in July 2013. She comes to the Joan Mitchell Center with a broad perspective of visual art, operational functions and community development where she acts as a conductor of information between the New York and New Orleans communities as well as a catalyst for change in contemporary art through designing innovative models for artistic and cultural exchanges and expansive public programming in the global arts and creative community. Hamilton is currently on the board of Alliance for Artist Communities and a member of Res Artis, ArtTable, The American Anthropological Association, and a Dr. Norman Francis Leadership Institute 2014 Fellow. Hamilton, a native of New Orleans, received her Bachelor’s in cultural anthropology with a minor in visual art from New York University and her Master’s in applied anthropology from City University of New York. For 15 years in New York City, Hamilton worked with non-profit organizations as a Serial Entrepreneur, Program Development Consultant, Community Engagement Organizer and Curator.